I was most impressed with her healthy and beautiful hair, and she has a wonderful sense to pick the perfect flowers-Hydrangea! 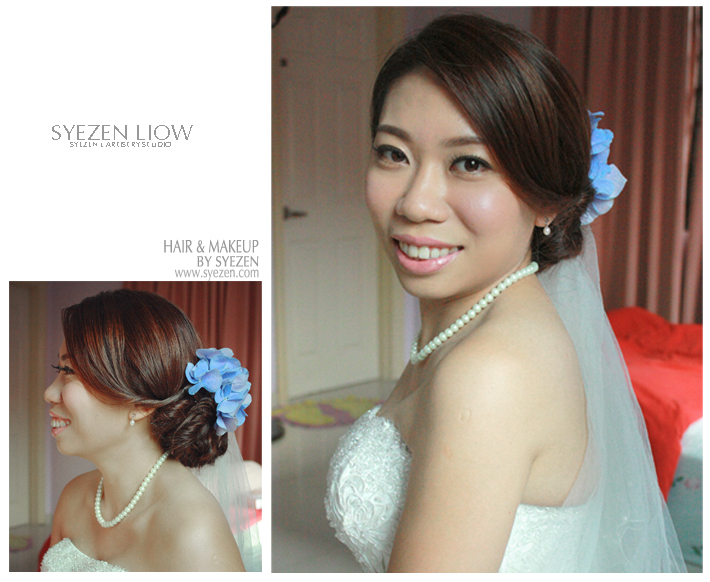 She carry well the natural make-up and elegant hair style that fits her personally. Nice to meet you, Hallie! I’m also very glad to see our matchmaker, Jocelyn!